DEK-design is the equivalent of sleek, functional and high quality finishes, design. Enjoy design and warmth with the steel shower wall and design radiator rolled into one! Steel frame with radiator function. 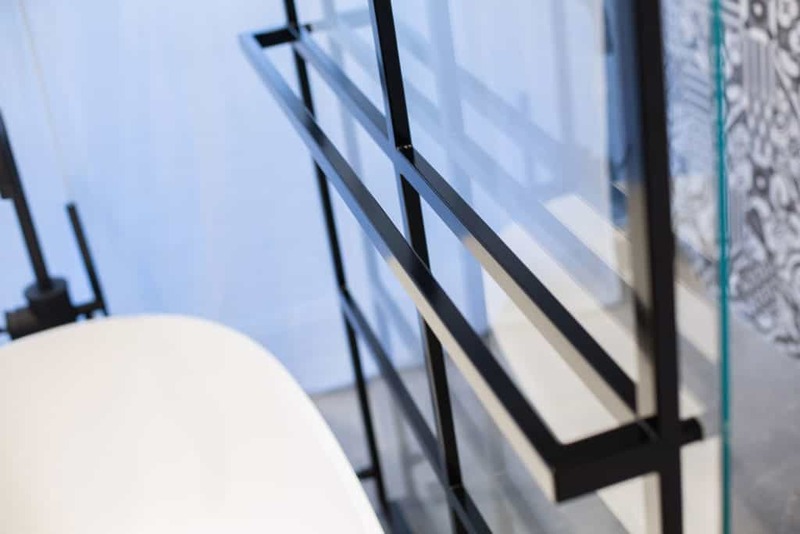 The luxury shower wall solution has a black, steel frame that, at the same time, functions as the design radiator in the bathroom. The stylish wall mounted version, the DEK-design Wall has been awarded the Red Dot design award 2017. An international jury has highly appreciated the product aesthetically. The unique shower wall solution is an asset to the bathroom! Because the flat, glass shower wall keeps the water within the shower space. And this high-quality safety glass will remain beautiful for years! The black, steel frame is available with and without radiator function. The integrated towel holder is marvellous! Therefore you’ll always have a warm towel within easy reach. 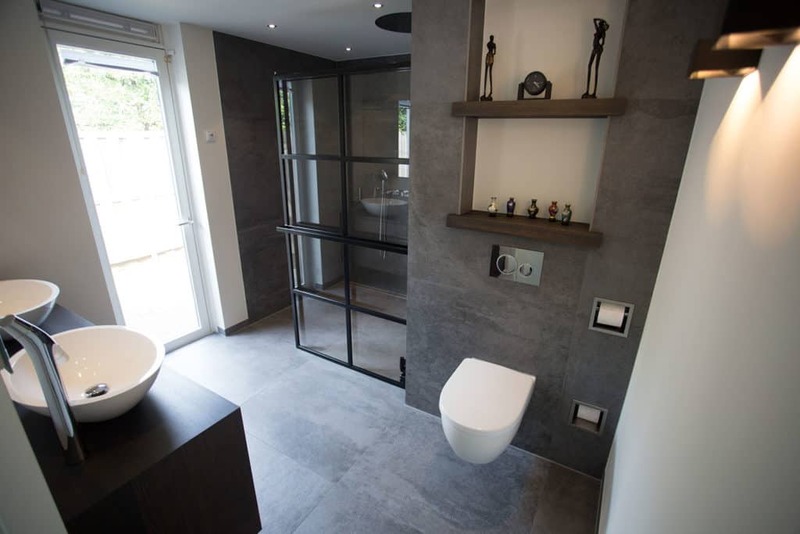 With a bathroom layout from the heart of the space, the free-standing shower wall is an ornament for the bathroom! This creates a surprisingly beautiful layout with magnificent sight lines. In addition, the accessibility of the bathroom will be emphasized. Because of the generous walk through shower with the design shower wall the bathroom will look immediately very inviting! If the bathroom is large enough. Than the total look will be even more beautiful with a free-standing bath that can be placed in front of the DEK-design Free standing shower wall. The shower wall solution of DEK-design is internationally noted. An international jury has highly appreciated the product aesthetically. The stylish wall mounted version, the DEK-design Wall has been awarded the Red Dot design award 2017. DEK-design is part of De Eerste Kamer B.V. situated in Barneveld, The Netherlands. © 2019 DEK Design. All rights reserved.